This is what progress looks like... | Propel L.A. When I first met the Gonzalez* family, they were in a desperate financial situation. Mr. Gonzalez had lost his job hauling trash due to a back injury. The family of six lived in a tiny converted garage. They had come to the nonprofit agency I was directing at the time, asking for a Christmas basket and food. As I sat on their sofa for a home visit, I noticed how clean and tidy it was. Eventually, the family moved and rented a couple of bedrooms in a house – but later found out that the people who lived there were stealing from the Gonzalezes. They then moved on to another shared house, and eventually, to a small duplex that was nice on the inside but outside was covered with chicken wire and tar paper. One day, when I called to schedule a visit, the oldest daughter announced that they had moved again. I walked in to the Gonzalez’ new home and was pleasantly surprised to see how spacious it was – a large living room, full kitchen, four bedrooms, and two baths. After they had showed me around, they shyly announced that they were the proud homeowners! Tears came to my eyes, as I relived their long journey to a stable and comfortable home. What was it that made it possible for the Gonzalezes to buy this home? It boiled down to the fact that Mr. Gonzalez had been able to get a living wage job in the automotive industry, which allowed them to not only pay their basic bills, but also to save toward a down payment. Experiences with families like the Gonzalezes formed a vision for me of what a Community Progress Makers’ grant could do to lift LA residents out of poverty. Our Propel L.A. team was impressed by a successful model we had learned about in the Antelope Valley region of LA County in which an aerospace company, Northrup Grumman, partnered with Antelope Valley Community College and Goodwill to provide an 8-week course for potential new employees that combines classroom learning with soft skills training, and job placement assistance. The program touts a 90% completion rate, a 92% placement rate, and less than 1% attrition rate. Program graduates who are hired enjoy good starting salaries with full benefits and an education fund. 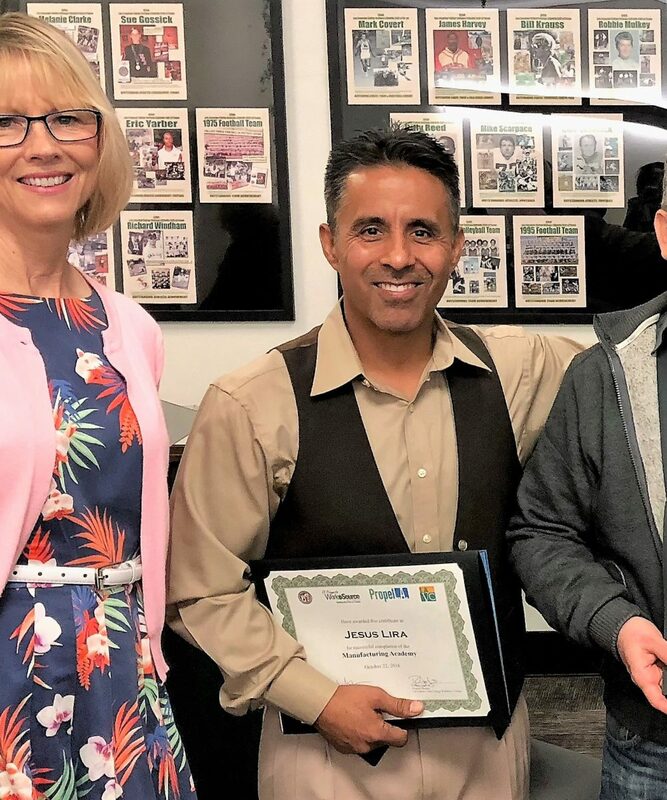 We decided to focus Propel L.A.’s Citi Community Progress Makers (CPM) Grant on replicating this Antelope Valley program in other parts of our County. 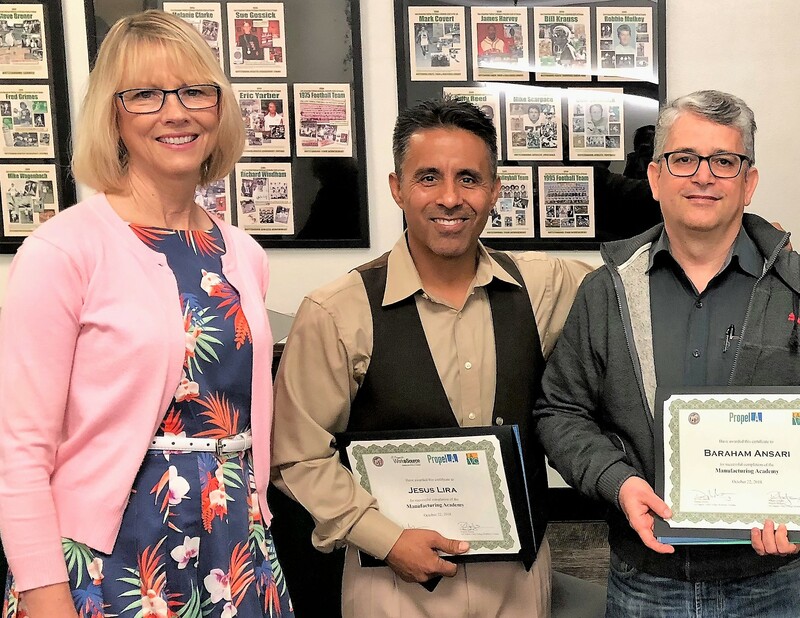 We are now connecting underemployed, low-income workers to 6-8 week training programs at LA Valley College and El Camino College, leading to good paying career pathways. The individuals we’re recruiting may be underemployed, work part-time with little potential for full-time work, or be unemployed, perhaps because their unemployment or GAIN (welfare-to-work) benefits have expired. Our team has reached out to more than 100 nonprofit agencies whose clients fit this profile to make referrals. CPM funds pay for the students’ tuition, soft skills training, and job placement assistance. One graduate of our Fall 2018 cohort who was funded by the Citi CPM grant — Jesus Lira. Jesus was excited to learn of the program and the opportunity to expand on his skills of machine tooling and design. Jesus is familiar in working with his hands, building things with his own tools, and working in his father’s shop repairing musical instruments. He likes to learn but lacked the funds to advance in his skills and talents. After learning of the free job training program, he eagerly signed up to learn skills to advance in his career. 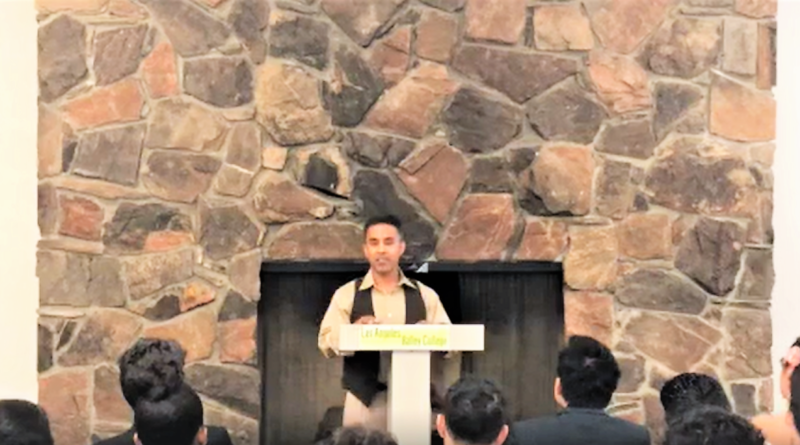 An inspiration and leader to his fellow students in the program, Jesus was chosen to deliver the commencement address at the graduation ceremony on October 22, 2018. He has since gotten a full-time job at Wells Manufacturing, a company that makes parts for the aerospace industry, and is making steady progress in his career. Progress looks like free training, in a promising career, with a clear path forward to a brighter future. Progress looks like investing in our people – Goal 1 of our Strategic Plan for Economic Development. Many thanks to Citi Foundation for investing in communities, in people, and helping create this pathway! *Actual family’s name changed for privacy.